Burbure was used for rest billets for troops fighting in the Loos area during the First World War. 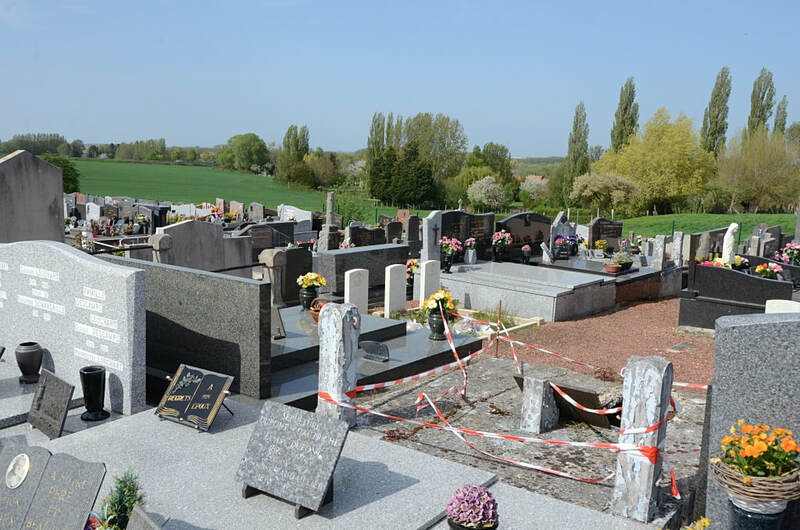 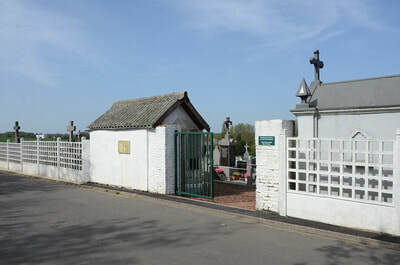 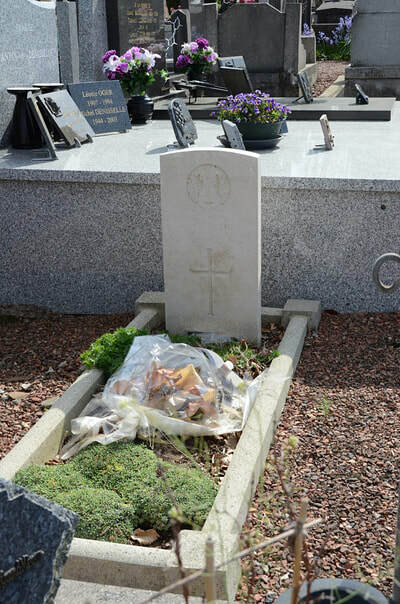 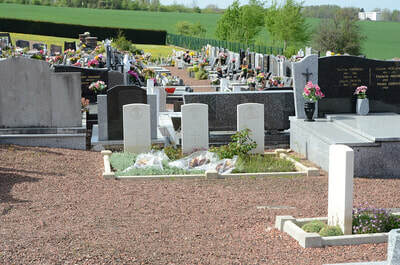 The cemetery contains two Commonwealth burials of the First World War and three from the Second World War dating from May 1940. 18021 Private J. Hamilton, 1st Bn. 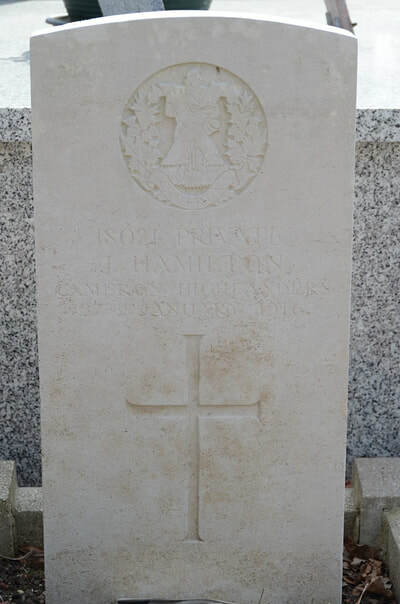 Cameron Highlanders, died 27th January 1916. 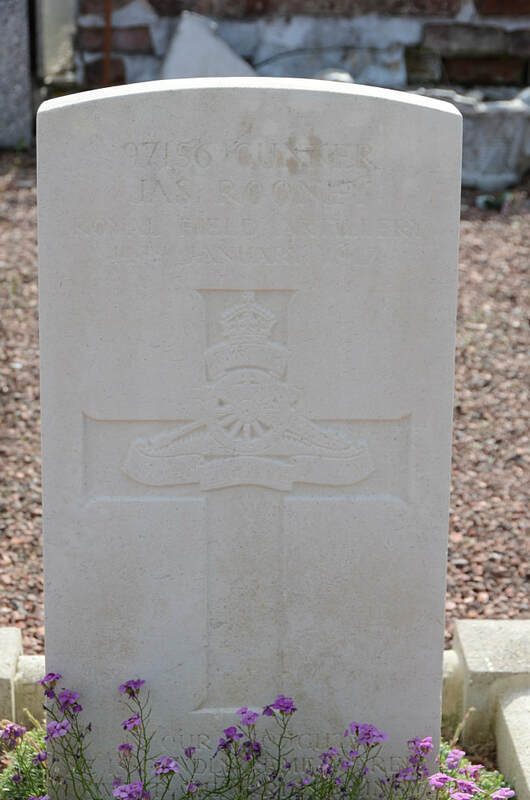 97156 Gunner Jas Rooney, "V" Trench Mortar Battery, Royal Field Artillery, died 14th January 1917, aged 25. Son of Mr and Mrs James Rooney, of Long Calderwood, East Kilbride, Glasgow. 4452656 Private Stanley Frederick Cornwell, 2nd Bn. Durham Light Infantry, died 27th May 1940, aged 18. 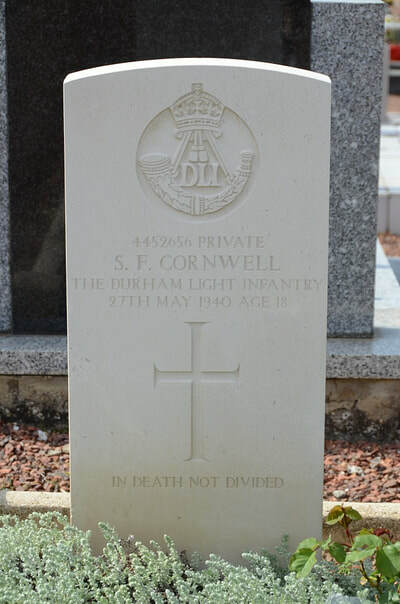 Son of Fred and Florence Lilian Cornwell, of North Ormesby, Middlesbrough, Yorkshire. 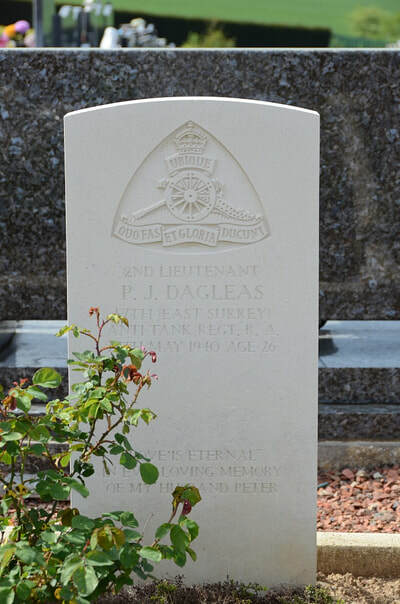 88940 Second Lieutenant Peter James Dagleas, 57 (1/5th Bn. The East Surrey Regiment) Anti-Tank Regiment, died 27th May 1940, aged 26. Husband of Sheila Dagleas, of Drayton, Berkshire. 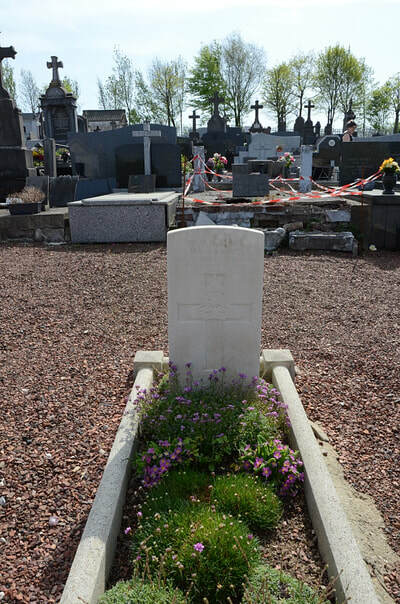 4189647 Fusilier Edward Thomas Williams, 1st Bn. 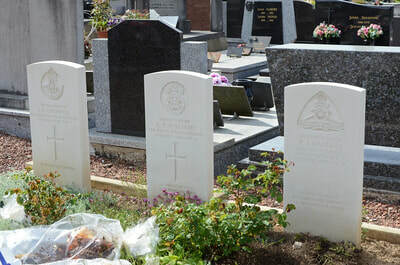 Royal Welsh Fusiliers, died 25th May 1940, aged 31. 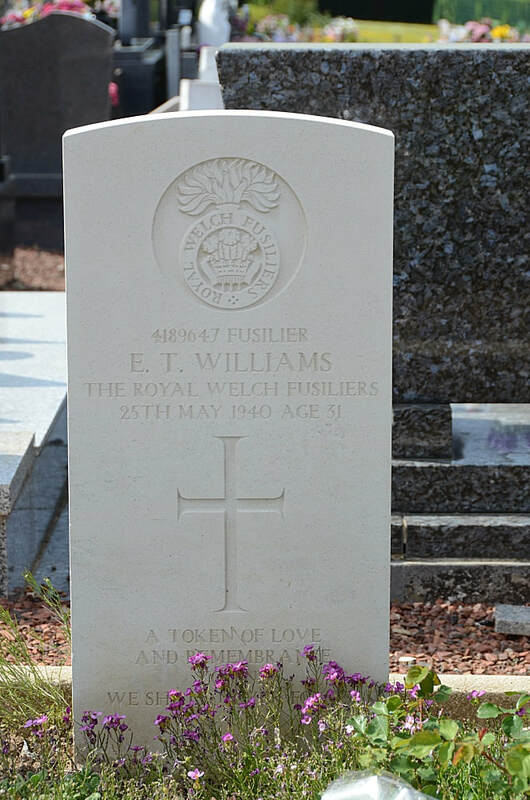 Son of Evan Evans Williams and Ann Jane Williams; husband of Annie May Williams, of Llandinam, Montgomeryshire.